42 years ago parents along with our first principle, Mr Jack van Renen, decide on the slogan of We give. Damus means We give. Why do we do Damus? Well the answer is in the meaning of the name. We have Damus so that we can collect money and then donate it to various Charity organisations, such as the Durbanville Children’s Home. All of the money that we collected from the Yellow forms and from the ticket sales goes to charity. Every single cent. This year at Damus there were some of the old favourite games such as Pillow fighting and Sumo wrestling as while as new items such as the giant inflatable target soccer and the super cool photo booth. 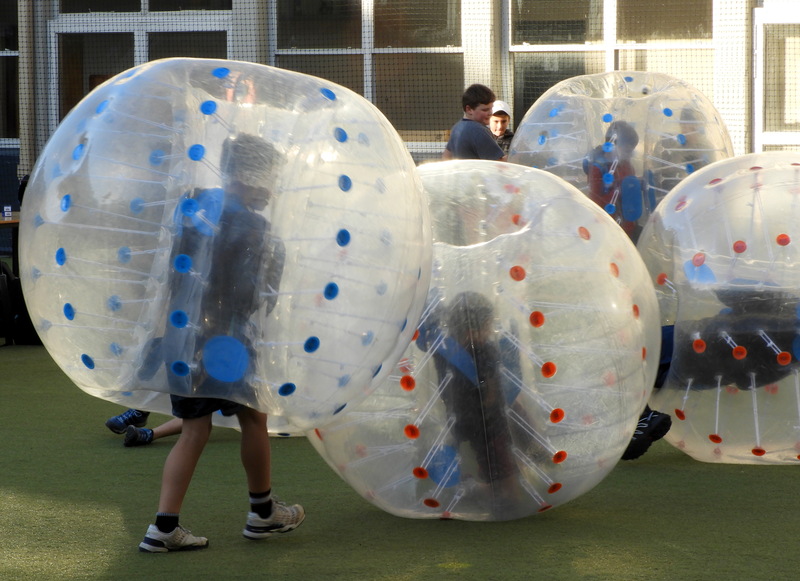 Bubble soccer was a HUGE success as there were queues the whole night long! There was also everyone’s favourite hamburger and hotdogs for supper and pancakes, jelly and custard or delicious ice-cream for dessert. (Most people however ate dessert first and then supper or just skipped supper altogether.) There was also a mini coffee shop near the grade 1 classrooms with coffee to die for. And what happened to all the cakes, sweets, fudge, brownies and cupcakes in the aftercare hall? Everything was wiped clean before 19:30. Everything looked so delicious! All in all, Damus this year was a huge success! The money would help many people in need. I would just like to thank everyone that contributed this year and all of you can go and sleep with happy hearts knowing that your small contribution has made a huge impact on someone’s life.